© 2014 R.L. Delight, Short Sands Plein Air WIP, Oil on gessobord, 11"x14"
Today was a stunningly beautiful spring day. I have been spending a lot of time painting in the studio recently for a project that will soon be revealed. 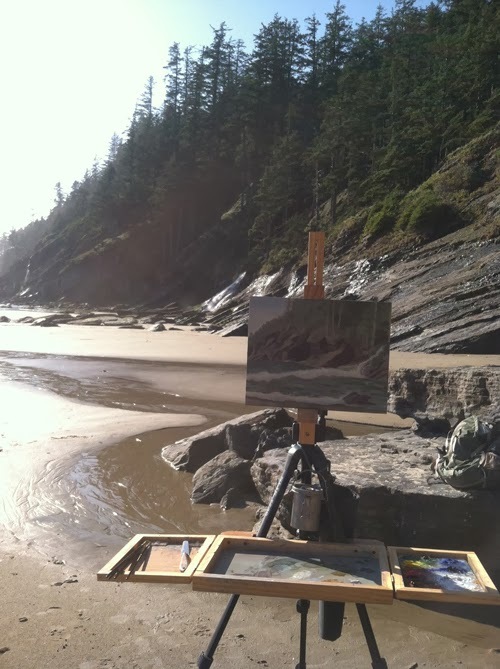 The warm sunshine beckoned and I grabbed my gear and went out to Short Sands Beach to paint. This is a larger canvas than I usually use when painting out en plein air, 11"x14". I wanted to try painting a bit larger. I started this painting several weeks ago and decided to wait to go back out to try to finish it rather than finish it in the studio from memory. I am glad I did. This was the first time I tried this approach. There still needs a bit of work done. There are a few spots I am not happy with and the waves are still just blocked in. I worked on painting more of the rocks and trees today. I am considering this a study as I am trying a few new things here. It is very much a learning piece. I am having a lot of fun painting it though! Here is a parting picture from this afternoon. I am off to practice my cello now! 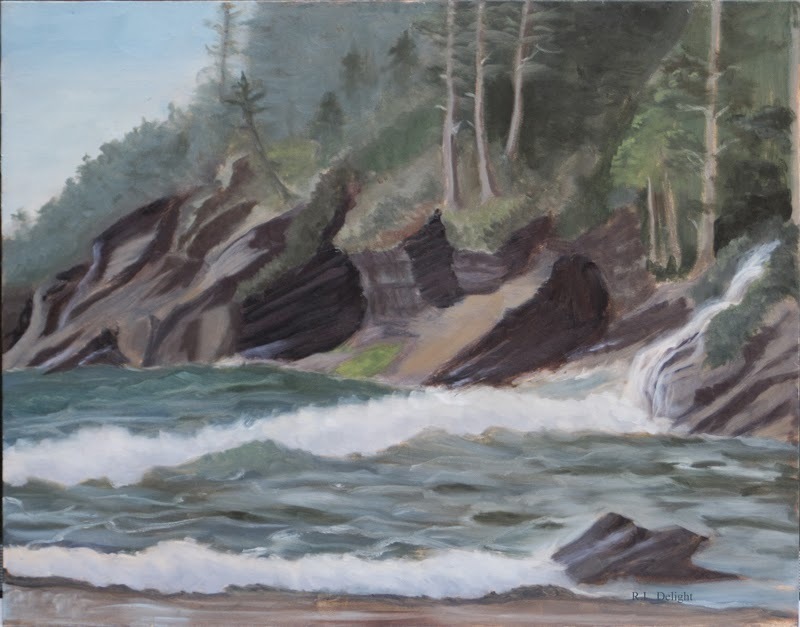 Short Sands painting on a beautiful spring day.